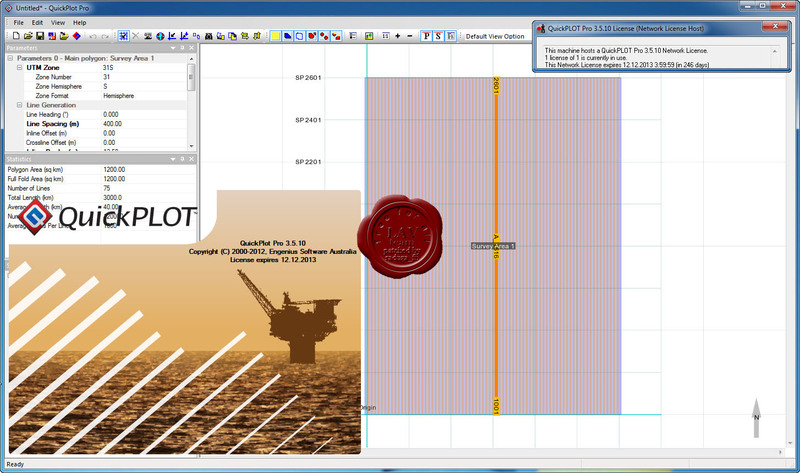 QuickPLOT is a simple stand-alone application for generating preplot lines for marine seismic surveys. QuickPLOT is designed to make it easy for you to create survey projects that you can then load into SurvOPT for planning and costing. 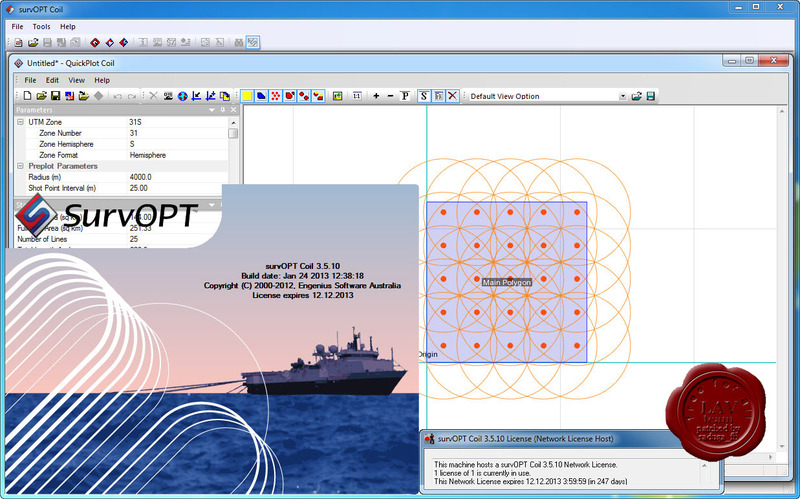 SurvOPT Coil is a new version of SurvOPT specially developed for Coil Surveys. SurvOPT Coil has the full functionality of conventional SurvOPT, but is designed for working with circular preplots. As with normal SurvOPT, SurvOPT Coil will optimize line changes and minimize the amount of time traversing between coils or circles. As it can get confusing looking at a lot of overlapping circles, there are even special view options to make it easy to see where the vessel will be offline. The Coverage Preview Tool lets you instantly examine the effect of changing streamer length and coverage parameters, from just one circuit to the entire survey. SurvOPT Coil will intelligently route around obstructions like rigs and shallows, and you can plan for maintenance, crew changes, port calls and most other real world issues like you would in standard SurvOPT. 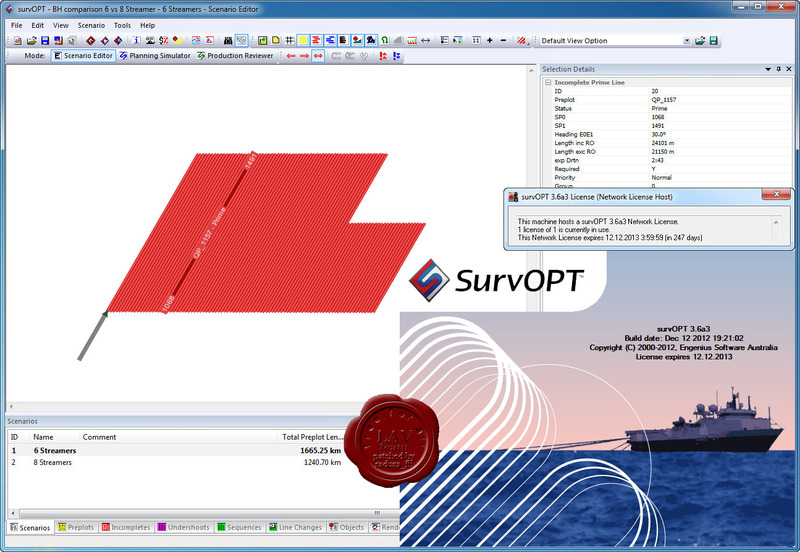 SurvOPT Coil comes packaged with QuickPLOT Coil, so you can create and analyse circular surveys from scratch in just minutes.